A new optician based at our Glenfield Park Business Centre in Blackburn has gone the extra mile and started customising glasses to fit people’s individual faces. A new optician based at Glenfield Park Business Centre in Blackburn has started customising glasses to fit people’s individual faces. Blackburn Optical Centre opened in August. Since then the business has been going from strength to strength, winning new customers and starting a service to provide bespoke spectacles. Owner and manager Fazial Mulla had worked at Crown Eyeglass based in another unit at the business park for 30 years. But when the owner retired at the age of 82 and closed the business, Mr Mulla decided to start out on his own. He says his customers at Crown Eyeglass had been so keen for him to keep an opticians at the site, they even offered to have a whip round to allow him to get the business started. Because a large number of his customers are elderly and disabled, Mr Mulla chose a unit with excellent disabled access, which is next to a café. Although the business has only been open for two months, things are going well. Mr Mulla says he started offering to customise glasses because some people experience problems finding frames which fit comfortably. He measures the depth and width of a customer’s face to create glasses that are exactly the right size for them. “I want to go that extra mile for customers,” he says. He has also forged a partnership with a local care home, arranging for a taxi service and minibus to bring residents to the shop. He explains: “The optician who had been going into the home is excellent, but was only able to take a limited selection of frames for them to choose from. I want them to come here and choose from 600 frames to find something which suits them. There is a café next door they can visit too, so it is like a day out. 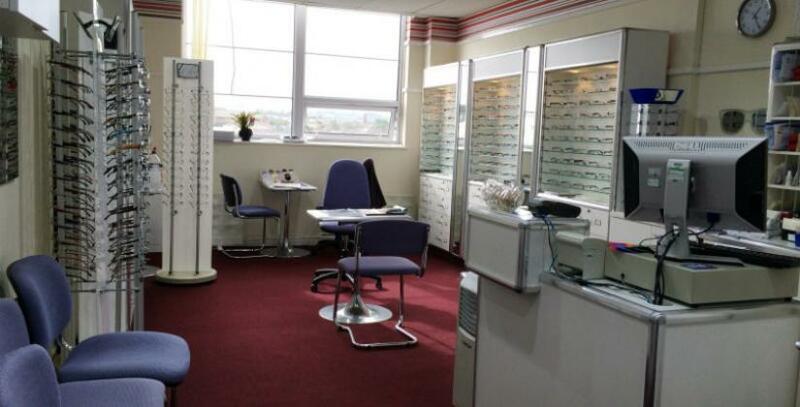 Blackburn Optical Centre also offers contracts to businesses to provide their staff with eye tests. Any companies who want to find out more can call Mr Mulla on 01254 663263.